Deya's ceramic pieces are all handmade by our artisans in Jakarta. Stoneware, kaolin and clay are some of the materials used- sometimes combined- when the different types of tableware are created. Deya's way of mixing materials translates into extraordinarily thin and delicate items. Beauty and functionality meet when our products are layered with non-lead glaze and fired up to 1200 - 1400° C ensuing food-grade products. Rareness and uniqueness come in the form of handmade batik applied across our product range. 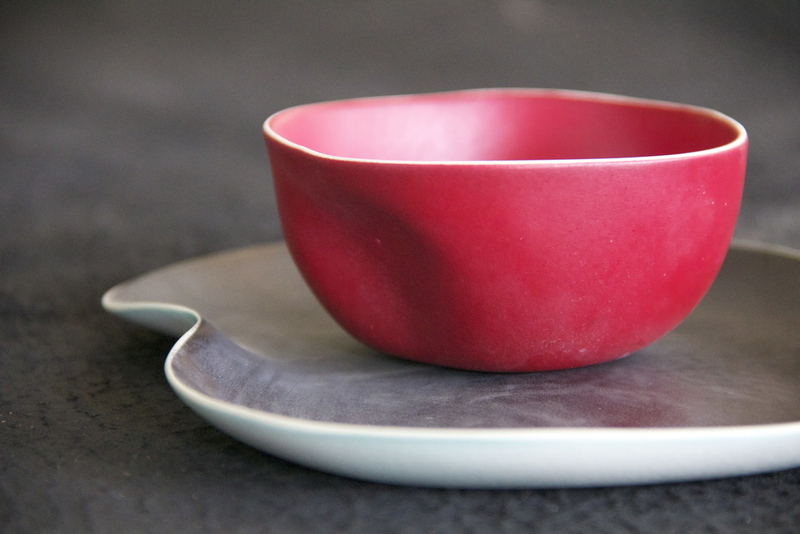 Deya's ceramic items are microwave, oven and dishwasher safe. However, please refrain from over-stacking in the dishwasher. Deya's tableware range from plain coloured to textured designs. The textured items are handmade batik, which comprise of four main Javanese batik patterns called; Kawung, Herringbone, Kembang and Kembang Pakis. These patterns are available in variety of colours. Deya’s ceramic tableware manifests itself in organic shapes accompanied by the application of exquisite layers of glazing and batik -an Indonesian traditional method of wax-resist dye process most commonly applied on cloths. These delicate processes and intricacy of craftsmanship create bold statements that elevate Deya’s products into the realm of the unique, different and rear. Match your own desired cups with the saucers suitable for at-home freshly brewed tea. Deya’s organic cup shapes are designed to follow the shape of your hands allowing you to hold the cup comfortably. Available in both plain-colored glazes and in batik motifs. These teacups come in red, blue and khaki. Our Garis-garis motif is best complemented with our Garis-garis Batik Napkin. Deya's mugs are patterned in a variety of different Batik motifs. The design comes in two sizes and shapes. Deya’s Rectangular Batik Mugs are available in Kawung motif. Bring your tea time to a whole new experience. 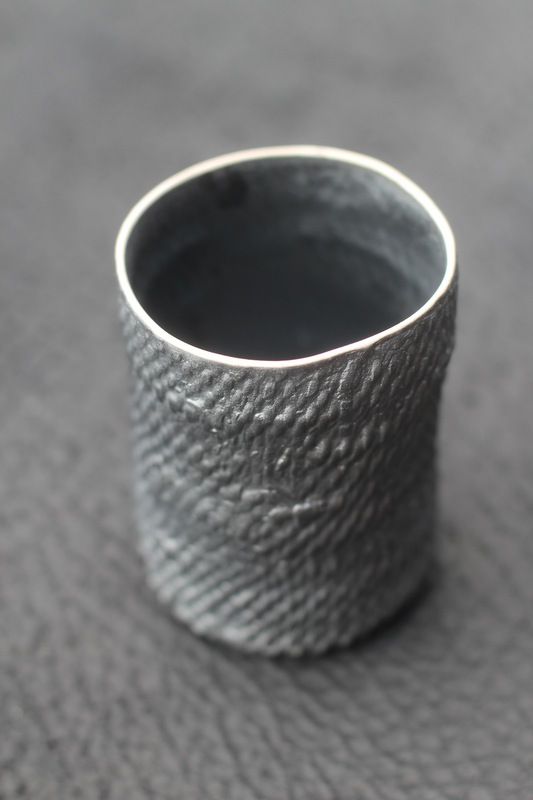 Its light-weight property and texture allows you to grip the cup comfortably. Deya's Spiral Cup is our newest collection. This range comprises three sizes- ranging from large to small. Suitable for a hot green tea, sake, or any drinks of your choice. This Teacup comes in plain colours to give you a simple look. This Laut Cup is a small and simple shaped cup with Laut Batik motif. Spice up your table setting at home with the vibrant colours of Deya's pitchers. Be it for milk or sugar, you could get creative with these multi-functioned pitcher. These modern-designed pitchers are incorporated with traditional elements of batik textures such as: herringbone, Kembang Pakis and Kawung. Arrange your table setting with some bright and neutral hues of Deya’s bowls. Deya’s Dented Bowl collection is organic in their shape, designed to fit snuggly in the palms of your hands. Likewise of Deya’s other tableware, the exterior of the bowls are also available in batik motifs that were fired for 1400°C for food-grade quality. For a more fun and quirky tableware, Deya provides you with Titik-Titik Dented Bowl, which is made out of batik dots. Available in two sizes and two colour schemes, cream & black and cream & white. This Dented Bowl is our newest orange, which comes in different Batik motifs such as Kembang Pakis, Sawah, and our newest geometric pattern. This collection comprises four sizes ranging from extra large to petite. The bowls could be used for a serving bowl, rice bowl and condiment bowl. For this collection we are focused on simplicity and harmony by using the beautiful yet simple texture and repetitions of spirals. This range is made using pinching technique. The texture of pinching done by our artisans can be seen on the exterior of the bowls. Available in four different sizes, they could be serve as a serving bowl, rice bowl and soup bowl. You could also match them with any of our Pinching Plate Set. This batik motif is inspired by line doodles made by our designer. This range is a more modern look than our typical batik motifs. To layer your dining table, Deya presents you with abundant colors and designs for your sauce and condiments. The designs range from a round saucer with a curved handle, to bean-shaped saucers. The beautifully applied batik motifs embody a traditional Indonesian element to harmonize the delicate contours of the design. The Leaf Side Dish collection comes in variety of shapes and colours, ideal for your dining experience. Be it for sashimi, sushi, or even a centrepiece, this collection gives a unique feel to your home. This range represents Indonesian traditional art making of batik, a method most commonly known applied on silks. 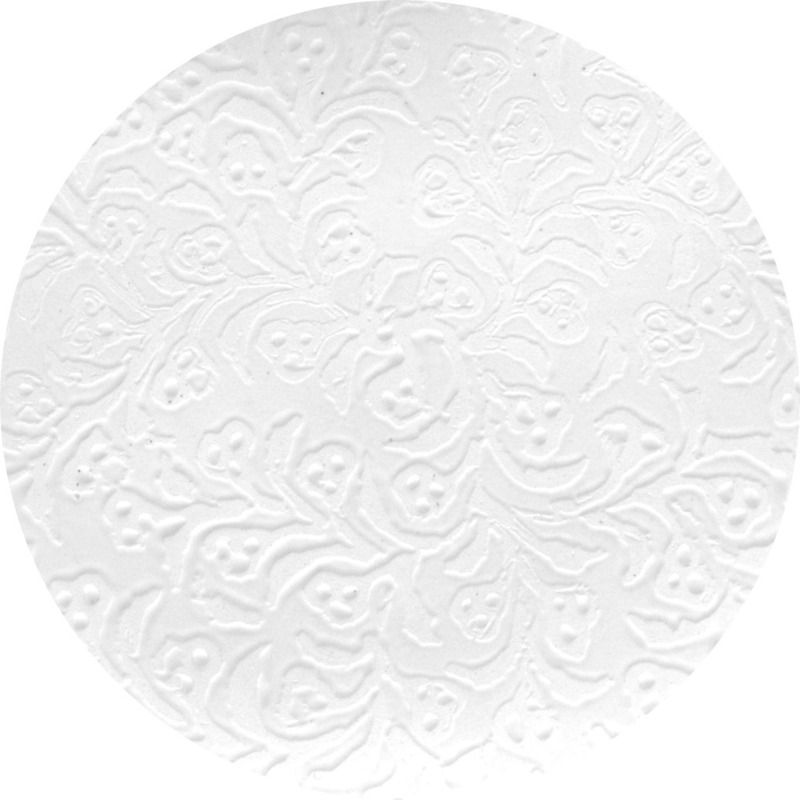 Accessorize your luncheon or dinnerware at home using these intricate and delicate batik motifs such as Kembang Pakis or Herringbone, of Deya’s large shallow plates. The batik-applied plates are fired up to 1200°C for food-grade quality. Each plate is slightly varied in size and shape as they are finalized using the hands of the craftsmen. One of the Shallow Plate Set Collections, we present you with our newest batik motif, Bulat-bulat which means 'circles' in Indonesian. Available in two colours of grey and charcoal black. This collection consists of four different sizes. Spiral shallow plate set available in four sizes for different purposes. This dinnerware set comes in two striking colours: red and green. This plate set is a very thin, flat plate set that consists of small to big plates. Available in different materials, each of them has beautiful properties and texture. This batik motif is inspired by an aerial view of the beautiful ricefields of Bali. This set is unconventional in their shapes, making them a unique addition to your tableware collection. Red, pink, green, black and orange. Deya's platters come in two different shapes which are: rectangular and ovoid. These platters come in different batik patterns and plain design for a more simple look. Mix and match the platter with Deya's condiment dishes to add some layer to your dining table. Each platter is slightly varied in size and shape as they are finalized using the hands of the craftsmen. Our newest tray design is inspired by a basket or keranjang, originated from Timor. The tray could be used for many things; food, tray for glasses, decorative purposes for your home, etc. 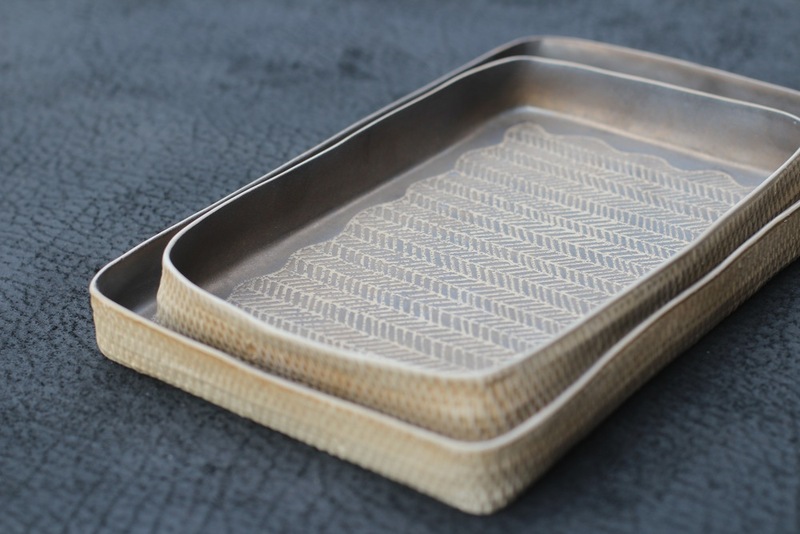 The tray's interior is infused with a batik herringbone pattern. Deya's porcelain leaf bowl is a unique accent for your home. This bowl is complemented with a teak wooden lid. Deya’s side dishes are a fitting design to add to your tableware collection in your cupboard. These flat, thin and delicate side dishes and saucers are available in variety of different batik motifs that were fired up to 1200°C for food-grade quality. Each dish is slightly varied in size and shape as they are finalized using the hands of the craftsmen. Deya's Origami collection's designs were casted by the original origami paper made by the designer. Some of these thin delicate items are modular in design and can be stacked together. These designs can be used as snack bowls, knick-knack storage, or any other things of your preferred choice. Deya's newest set in the Origami Collection. It consists of three sizes with different batik patterns. Deya’s newest Paper Bowl is available in both plain and in Batik Garis-Garis motif.